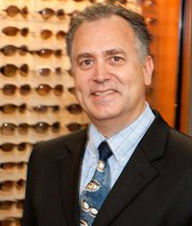 Dr. Bladh runs a truly one stop optometric office. While we continue to have a great traditional office with excellent staff, a wide variety of fashionable eyewear, an in office edger to make glasses while you wait, a large inventory of contact lenses, a great sunglass selection, and expertise in orthokeratology. We strive to help your family with many medical eye problems that you may encounter. Glaucoma, eye infections, dry eye, diabetic eye exams, LASIK co-management, cataract monitoring and surgery follow up can all be handled by Doctor Bladh. With an office in Diamond Bar, Our practice serves Chino Hills, Chino, Phillips Ranch, La Verne, Covina, West Covina, Rowland Heights, Montclair, Glendora, Claremont, Pomona, San Dimas, Walnut, Ontario, Brea, Hacienda Heights, Yorba Linda and Whittier. We specialize in diagnosing and treating dry eye syndrome (artificial tears, steroids, inflammadry), super accurate prescriptions, myopia control and multifocal contact lenses. We also have glasses frames to fit your personal style. Make an appointment today to see how we can help you! Please call our office at 909-402-2020 for further instructions. Use your best judgment on urgency, if you feel your need to find the nearest emergency room. Our office provides Assessment and Vision Training for individuals with developmental disabilities and those who require neuro-rehabilitation. We specialize in Autism Spectrum Disorders including ADHD and are currently involved in a Sensory Training Program study with University of California. 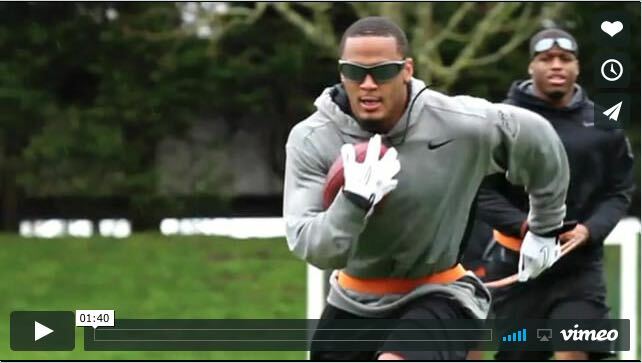 Sports Vision training has been around for years but here at Everything Eyes we have created a new paradigm in sensory training. We work on a neurological level to reprogram how the brain processes visual information to increase visual acuity, reaction time, shape and movement detection just to name a few. Oakley, Ray Ban, Tom Ford, Gucci, Nike, Farragamo, Kate Spade, Coach and many more....you'll find them all right here! I want the latest styles! Exceptional ALL DAY Comfort DAILIES TOTAL1® Water Gradient technology increases water content from core to surface so all that touches your eye is a cushion of moisture which leads to a comfortable wearing experience all day. 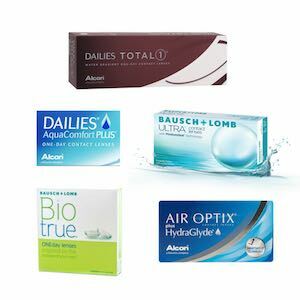 Bausch + Lomb ULTRA contact lenses with MoistureSeal technology maintains 95% of it’s moisture for a full 16 hours. Patients can experience all-day comfort. Learn more. This amazing marvel of Sports Vision technology runs through a battery of test by way of entertaining and competitive games that evaluate 10 areas of the sensory system as it would relate to sports. Vision is only a small part of the evaluation. Depth perception, hand-eye coordination, contrast sensitivity, near far quickness, decision making, reaction time are a few of the categories. The main areas that make an athlete successful. We only test areas we know we can improve so the scores are 100 percent relevant. Click here to learn more. Our sunglasses and glasses ranges are extensive and full of world famous designer brand names including, Oakley, Burberry, Ray Ban, Cole Haan, Tory Burch, Dior and more. Browse our Designer Frames page for more brands we carry. All About Management & Treatment of Eye Disease in Diamond Bar, California.